These screen-free summer activities can cure the 'I'm bored' blues. If your kids need help figuring out what to do for each line item, inspire them with these ideas for each category. Get crafty with giant art projects: Making a mural, big collage, or found-object sculpture project will get your kids using their arms and legs as well as their fine motor skills. Make-it-yourself toys: What can your child turn into a toy? A cardboard box has numerous possibilities. Empty plastic jugs or bottles can become hand weights, ball scoopers, or bowling pins. You may have to coach your kids a little, but then they can get engaged with playing with the toys they made themselves. Sidewalk chalk activities: From fun doodles to games, your child can make these temporary art project that will get her moving and designing. Options for outdoor play are almost endless, and almost always active and energetic. But your kids are likely to need suggestions beyond just saying, "Go outside and play." You'll want to keep some lists handy so you can get them started with various games and activities. Just add water. On hot summer days, a hose, sprinkler, or kiddie pool can offer hours of cool fun. Even water balloon games can keep them occupied. You may want to keep a list of games handy to suggest to your kids to play with beach balls, balloons, hula hoops, or swimming pool noodles. There are numerous versions of tag for your kids to play with each other or friends. It might be more of a challenge to come up with games for kids to play alone, but you'll want to be ready with suggestions. Help your kids make up a wish list of books that they want to read over the summer and keep them well-supplied. Be sure that you have a library membership or easy access to electronic books. If your child is an athlete who balks at reading, tempt her with sports-themed books or books that showcase sportsmanship. The list suggests 20 minutes, but more is even better. 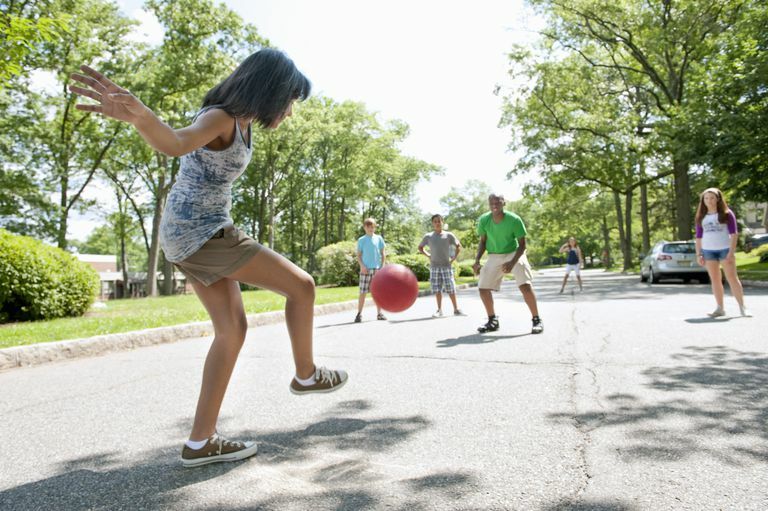 Kids should get at least 60 minutes of moderate to vigorous physical exercise every day. Any kind of active play that gets muscles moving can count, such as taking a brisk walk or bike ride. You can also encourage specific exercise routines for kids that want a more structured workout. Having kids help around the house or neighborhood is always a good use of time and energy. The key is to make this interesting and fun rather than seeming like a penalty for being bored. Develop a list of age-appropriate chores and rewards. Ask around your neighborhood to see whether there are things your kids can do to assist elderly or physically-challenged neighbors, from walking a dog to watering plants. You can also look for outdoor volunteering opportunities for your family that you can do together. If your child has done all of the above and is still begging for some screen time, it might be appropriate to let her have some. A little television or computer time could still inspire active play. Even better, challenge your child to be a producer instead of a consumer. With the technology available today your child can write and produce her own content, stimulating creativity and fun.